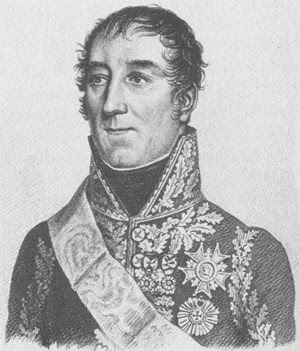 Mortier made solid studies in Douai, is useful in the national guards of Dunkirk and Cateau, then is elected captain by the volunteers of north in September 1791. He is present at all the significant battles of north: Jemmapes, Hondchoote, Fleurus, with the head office of Maastricht, before passing on the Rhine in 1795, with the rank of general adjudant head of brigade. Having refused the rank of brigadier general to the peace of Campoformio (1797), he obtains it only in February 1799. On the battle field of Zurich, Masséna made him the major general, on the 25th September 1799. In May 1803, Bonaparte orders to him to occupy Hanover, which he makes in one month, forcing the enemy army to the capitulation. Before doing him marshal, Napoleon appoints him general colonel controlling artillery and the sailors of the consular guard. During the program of 1805, Mortier controls the infantry of the guard. In 1806, he is given the responsability to occupy Germany of North, before joining the Grande Armée and directing the left wing in Friedland. Duke of Trévise in July 1808. Mortier will fight in Spain during three years: Licinena and bridge of Arzobispo (August 8, 1809), Ocaña (November 19), where he is wounded, Fuentes de Cantos (September 15 l810), Gebora (February 19, 1811), etc. During the program of Russia,he controls the young guard, is in Moskova, governor of Moscow, in Krasnoïe, Berezina. He makes all the battles of the campaign of 1813 in Saxony.During the program of France, he is with the head of the old guard that he fights the last battles against the invader and defends Paris. During the Hundred Days, he accompanies the king to Lille, then joins Napoleon but, patient, cannot fight in Waterloo. Disgraced when the court-martial, of which he forms part, states itself inefficient to judge Ney, he covers peerage in 1819, becomes ambassador in Russia in 1830, Minister for the War and president of the Council of November 18, 1834 to March 12, 1835, he is killed by the explosive device of Fieschi at the time of a review of the guard national and buried with the Invalids. The name of Mortier is registered on the triumphal arch of Etoile.